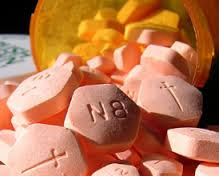 Buprenorphin (subutex)-detox of opiate dependent patients is a form of rapid detox which has been applied in the U.S. , UK and some other European countries since the nineties. Normally, the treatment lasts from 5 to 7 days (12 to 14 days should Naltrexone maintenance is planned upon the detox) providing a comfortable and painless transition to a clean state of body. A gradual detoxification process doesn’t allow any physical or psychological stress for the patient. This is crucial for opiate dependent patients. Buprenorphin is a semi-synthetic opioid receptors agonist/antagonist. It doesn’t cause euphoria, a drug dosage tolerance increase, nor risks of overdose like methadone. It allows quitting opiates without any pain. Within a few days a person becomes free of drugs. After performing drugs test it’s possible to use an implant against relapse. The agonist effects of buprenorphine increase linearly with increasing doses of the drug until at moderate doses they reach a plateau and no longer continue to increase with further increases in dose-the "ceiling effect." Thus, buprenorphine carries a lower risk of abuse, addiction, and side effects compared to full opioid agonists. In fact, in high doses and under certain circumstances, buprenorphine can actually block the effects of full opioid agonists and can precipitate withdrawal symptoms if administered to an opioid-addicted individual while a full agonist is in the bloodstream. Buprenorphine is the primary active ingredient in SUBOXONE Film. Known as a partial agonist, it can attach to the same receptors as other opioids and reduce their effects by blocking them from the same receptors. Naloxone is included to help prevent misuse. If you are dependent on a full opioid agonist and attempt to inject SUBOXONE Film, the naloxone is likely to cause withdrawal signs and symptoms. Approved by the U.S. Food and Drug Administration in 2002 for the treatment of opioid addiction, Subutex has proven to be safe and effective when used within the confines of a medication assisted treatment program. As was previously mentioned, the consumption of Subutex prevents the uncomfortable symptoms of withdrawal from arising. Withdrawal occurs as an individual’s body attempts to re-regulate itself to the way that it functioned prior to the introduction of opioids. The chronic abuse of opioids causes the development of tolerance and dependency, which essentially means that the body becomes dependent on the substance in order to continue functioning. As a result, when the substance is then removed from one’s system, it has to re-learn how to exist without the opioids. As the body is learning to regulate to the change in its chemical composition, the physical symptoms that a person experiences can be painful and, at times, even life-threatening. By taking part in a medication assisted treatment program, however, the withdrawal process can be alleviated through the use of medications like Subutex. Coming off suboxone addiction without pain, stress or sleeplessness.